I picked this bottle up after enjoying the Chenin Blanc at this wine tasting so much and wanting to try some more. After spending an entire day traisping around IKEA with a 13.5 month old, my mom and I cracked this bottle open at 4:55 pm. I said “I hope you don’t mind it’s not even 5:00, but it’s wine time.” We both liked it so much we kept on drinking it right through dinner! I liked that I didn’t really have any expectations for what this wine would taste like, since Chenin Blanc isn’t a wine I regularly have. I thought it had a nice spice and acidity to it, and an almost grassy taste. It was drier than I was expecting, but not in a Chardonnay-dry kind of way. It became more floral as my glass came to room temperature, but it never delves into sweetness. We had an “appy hour” for dinner, but I think it’d also pair nicely with any kind of seafood or a light chicken dish. It’s a nice budget-friendly wine and I think would be a welcome change of pace to your white rotation. I have a Spier Sauvignon Blanc in my wine cooler I’m waiting to try too, and I’m interested to see how they compare! Would you buy again? Yes – especially at that price. 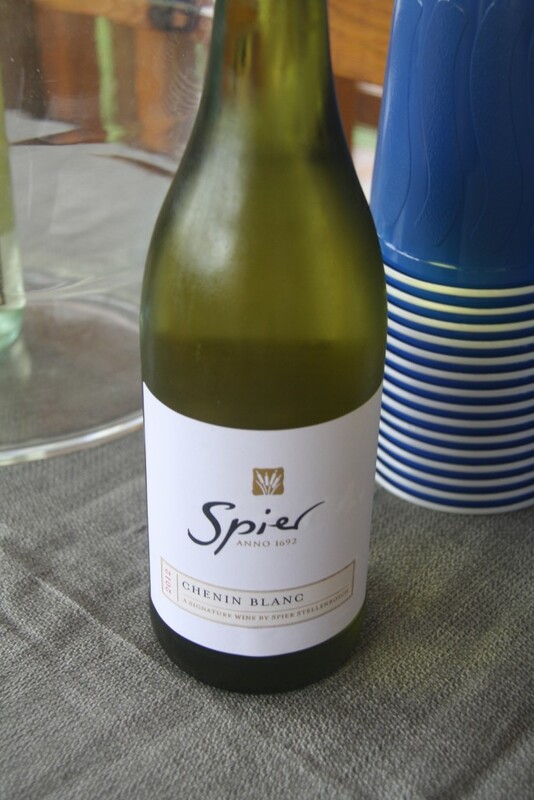 Although, if I was forced to choose, I’d probably still prefer the Petit Chenin Blanc over this one… but, the Spier is certainly a nice comp for under $10! Sounds really good for the price! I’ve had two Chenin Blancs and they aren’t usually my favorite but this makes me want to try another.